Our new eyelash lamination kit is a simple and safe treatment which smoothens, lifts up and helps to give a visible volume to eyelashes. It will create a beautiful curls from your natural lash. 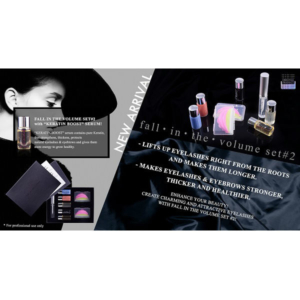 With this kit, curly lashes last up to 4-5 weeks. Added Keratin Vitamin and Natural Essence will strengthen lashes after perming procedures. At Quality Beauty Store, we believe that Lash Lifting is a great way to to create a dramatic look without going for false eyelashes. You can also wear mascara after lifting procedure, however do not use waterproof mascara, as it will minimise lifting effect. One of the best things about lash lifting is that you have no restrictions as well as no special care need hence, you can sleep facing in the pillow, swim and rub your eyes. This kit comes in neat retail box with how to use instructions attached. 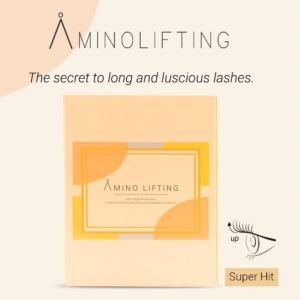 Check our other lash lifting products here. MAX2 Eyelash Flying Kit – Rolly King!